There’s a lot of debate out there about whether content syndication is a good strategy for businesses to use. 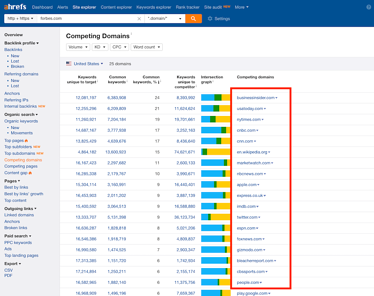 You’re potentially giving yourself keyword competition when you post content on another website that gets more traffic than your own. So should you just give up on the whole strategy based on this fact alone? No. Content syndication, when executed properly, can be a significant generator of leads, heighten brand awareness amongst your target audience, and increase your website authority with valuable backlinks. In fact, we’ve been able to help our clients attain significant, measurable results through content syndication. Now let’s back up for a moment. Before we get ahead of ourselves, let’s define what content syndication is. Let’s be clear: content syndication is not simply guest posting on someone’s website. That’s not going to be great for anything more than a backlink or two. Content syndication is a paid opportunity where you have the chance to amplify your reach by publishing and distributing your content through a reputable third-party. By leveraging the reach and influence of a larger company or publication, like Forbes, you can distribute content to new audiences that are difficult to reach on your own. When using content syndication as part of a demand generation program, you’re able to collect leads by having your content published as a gated asset. This method provides your audience with third-party validation that makes your brand seem more credible, as you’re using the brand equity already established by that third-party. What Are the Benefits of Content Syndication? 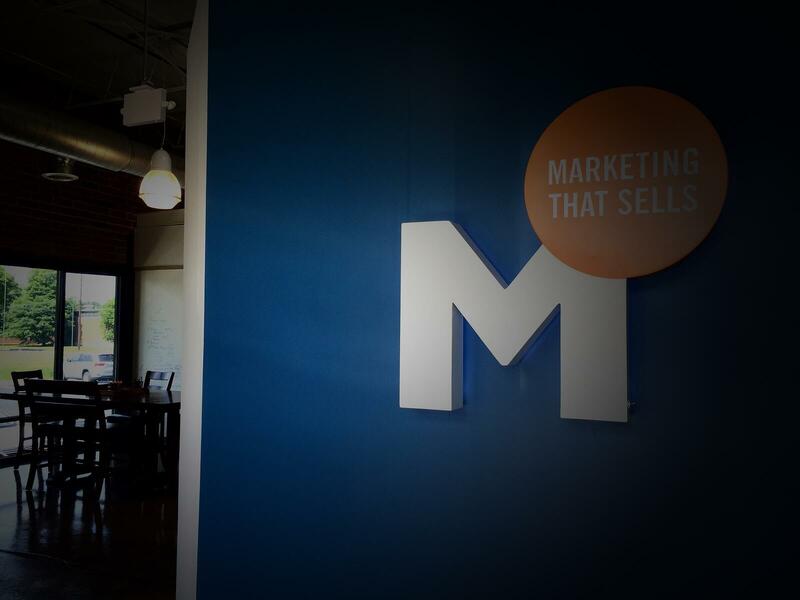 If you want to generate leads fast, it's not going to work with pure inbound alone. Today’s buyers are bombarded with so much information that getting your content in front of them requires more work. 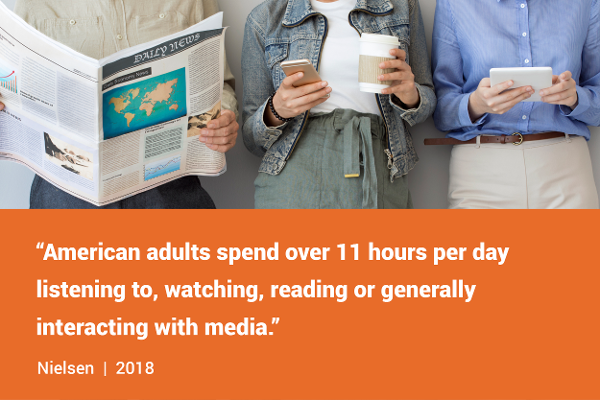 In fact, according to Nielsen, the average person consumes information from media for over 11 hours a day. Therefore, content syndication is a great tactic to help accelerate your demand generation program. You can tap into a larger pool of leads, and some content syndication options, like webinars, have a guarantee for a specific number of warm leads. This can help improve the velocity in closing business through any subsequent nurture program to these leads. Content syndication is also great for small companies who are trying to break through the noise. A third party publication can validate your organization and allow it to appear bigger in comparison to larger, more established brands. While the upfront cost of content syndication program may seem prohibitive (often a $10,000 minimum), the long-term payoff in the form of guaranteed warm leads, brand awareness, and high-value backlinks is well worth it. So what are the criteria a content syndication program must have to make it truly effective for demand generation? 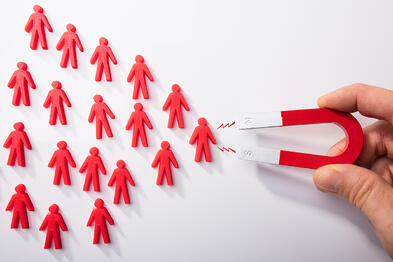 A great place to start is to take a look at your buyer personas. This will help give you an idea of which publications to research for a potential syndication partnership. For example, when we worked on gathering content syndication opportunities for a SaaS-based financial company, we started by looking at the buyer persona data that we captured through interviews and secondary research to find what sources they regularly read. We were also able to look into associations buyers were members of and identify any potential partnership opportunities with those events. 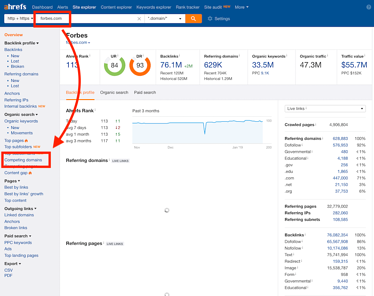 When in doubt, use a tool like Ahrefs to source for opportunities. You can type in the domain of a publisher you’re interested in, and click on the competing domain tab. This will produce a list of competing domains. When narrowing down your list, make sure to look at the content syndication offers, audience reach, content specifications, and pricing (you may have to call for this information depending on the source). Publications like Forbes and Entrepreneur will have this information in their media kits. Associations will usually have this information under sponsorship or partnerships. The same goes for industry influencers who include this as part of their service offerings. Is the publication a trusted source of information for your target audience? Does the opportunity offer a guaranteed lead minimum during the promotional period? Does the content you have provide value to the third party audience? How effective can content syndication be? Before engaging us, a financial consulting firm we now partner with generated 30 new inbound leads throughout 2017. By sponsoring and participating in one webinar in 2018 with a leading financial publication, they were able to gain 252 net new leads, with 109 live webinar attendees. That is an increase in overall leads of 740 percent from one syndication effort alone. This strategy helps meet your ideal prospects where they already go for information. This is especially important for smaller businesses who want to accelerate their growth and don’t necessarily have the reach of more established brands. No matter how large or small your organization is, making sure that your content syndication strategy is in line with your business objectives is the key to success. Looking for more fuel to speed up your growth? Download our growth guide to learn more.